The Taj Dubai officially opened its doors in Downtown Dubai in Spring 2015. The hotel has been designed as a blend of sophisticated luxury, Indian heritage and contemporary style. Capsule Arts was appointed to provide interior styling for the project, from the sourcing and procurement of accessories, through to placement of the items in the hotel. 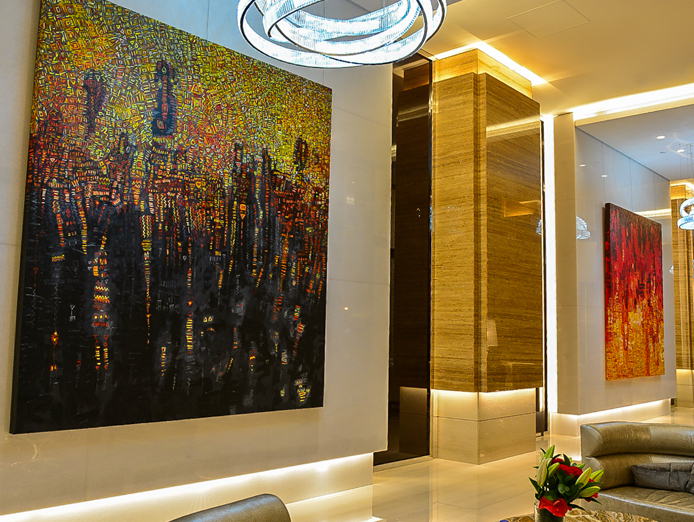 We also provided artworks for several areas of the property. It was important for the accessories to be authentic and in keeping with the iconic Taj brand, so the team travelled to India for an accessories buying trip. We visited antiques dealers, artisans and design companies in areas such as Udaipur and Jodhpur in the state of Rajasthan, an area with a rich cultural heritage. 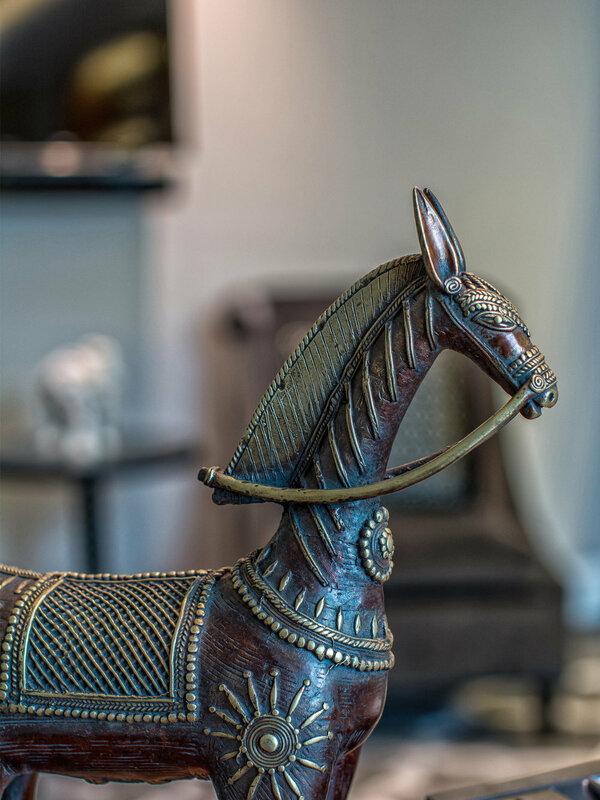 The buying trip in India allowed our team to source some beautiful and authentic accessories and artefacts for the hotel which tell guests a fascinating story of Indian culture. Aside from the focus on India, for the hotel's UAE heritage display, we curated a series of exhibition cases filled with objects that relate to the UAE’s history and culture, along with informative plaques in Arabic and English. For the hotel's Eloquent Elephant bar, we came up with a ‘cabinet of curiosities’ theme for the art and accessories. Taking inspiration from the venue name, we commissioned artist Matthew Ryder to create a series of humourous paintings of elephants in the style of old Victorian portraits. These were complemented by a quirky accessories selection including items such vintage cameras, bowler hats and other curios placed in the display cases overhead the bar, as well as within a series of styled bell jars. 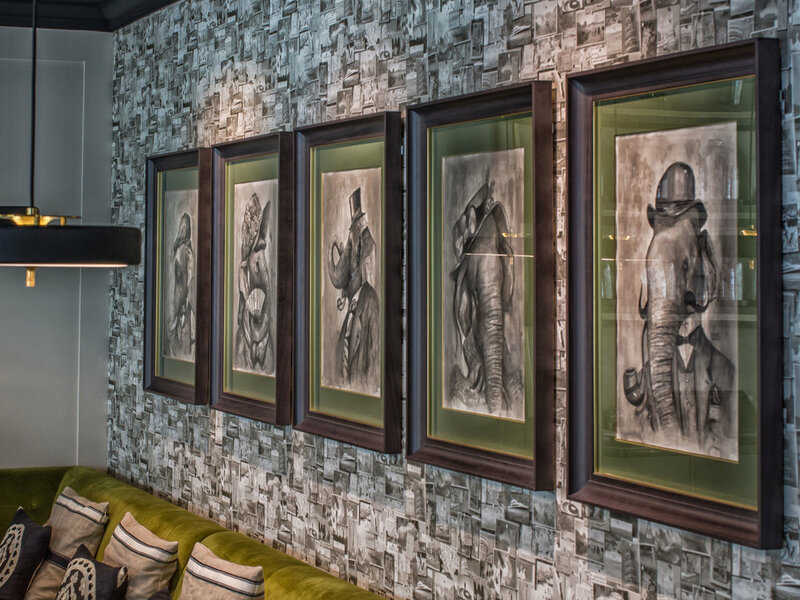 Dubai-based artist Matthew Ryder is well-known for both his work as a caricaturist and as a painter of wildlife, two strands of his practice that were brought together in his pieces for the Eloquent Elephant. Ryder also features in the Capsule Arts limited edition print collection.